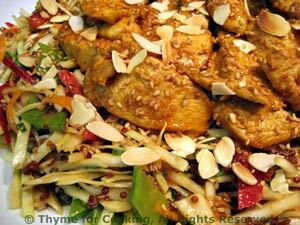 Thyme for Cooking easy recipes: Asian Chicken and Cabbage Salad. Cabbage makes a crunchy, healthy base for a salad. This has a peanut butter based marinade and salad dressing.